Dog with a Blog Photos, News, and Videos | Just Jared Jr. 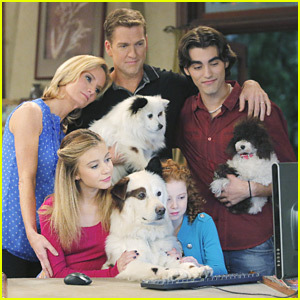 The cute pup from Disney Channel’s Dog With A Blog series has sadly died. Francesca Capaldi, who played Chloe on the series, announced the grim news on her social media last night, paying tribute to her canine co-star. After the first five episodes, Stan was played by Mick. G Hannelius Graduates High School -- Pics Inside! Dog With a Blog star G Hannelius just graduated high school and she has all of the pics to prove it! The 18-year-old actress and singer posted three photos (but actually 8 since one is a slideshow) to Instagram capturing her graduation, posing in her black robes gathered round her friends and loved ones. This comes on the heels of her prom photos, and it looks like she definitely had the chance to experience high school and all that comes with it! Well, okay, her high school experience probably wasn’t super normal. G has been acting since she was a kid, and working with an incredible charity for just as long. Still, it’s incredibly cool that she made time to graduate on top of her acting and singing career. The Jennings-James family gathers around Stan (Mick) for his final blogging session in this sweet still from the series finale of Dog With A Blog. In “Stan’s Secret is Out”, Ellen (Beth Littleford) and Bennett (Regan Burns) find out that Stan can talk, and shortly after the entire James-Jennings family is taken hostage by the U.S. Space Command’s Alien Division because of Stan’s talking abilities. Together, the Jennings-James family must work together and devise an escape plan, all while protecting Stan. Will Avery Get Her License In Tonight's 'Dog With A Blog'? Chloe (Francesca Capaldi) shows off her strength in this new still from Dog With A Blog. 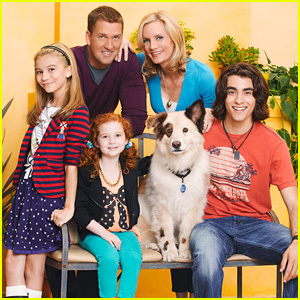 In “Avery Starts Driving”, after running over a neighbor’s lawn gnome, Avery (G Hannelius) asks Tyler (Blake Michael) to help her prep for her driving test. “Avery Starts Driving” airs TONIGHT, Friday, September 18th @ 9:30 PM ET/PT on Disney Channel. 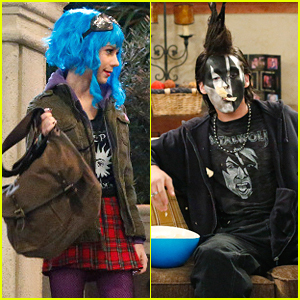 Avery (G Hannelius) and Tyler (Blake Michael) sport very, very different looks in these stills from the new episode of Dog With A Blog. In “Cat with a Blog”, after accidentally ruining Ellen’s (Beth Littleford) new couch, Stan wishes he’d never been a part of the family and wonders what it would have been like if he had been a cat instead. Also, The Harlem Globetrotters guest star, teasing Bennett (Regan Burns), of course. “Cat with a Blog” airs TONIGHT, Friday, August 21st @ 9PM ET/PT on Disney Channel. 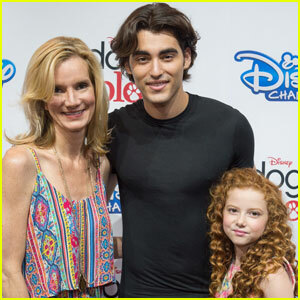 Blake Michael looks swoon-worthy while stepping out for the 2015 D23 EXPO held at the Anaheim Convention Center on Sunday (August 16) in Anaheim, Calif. The 19-year-old actor was joined by his Dog With a Blog co-stars Francesca Capaldi and Beth Littleford as they met up with fans and took more pics! “Omw to #D23Expo. I’ll be snapchatting my day: blakemichael14,” Blake tweeted.